Weekly Hope is a Facebook Live interview series with Kirsten Haglund. It airs on Wednesdays on the Eating Disorder Hope Facebook Page. The interviews with our guests cover a wide array of various topics that relate to eating disorders and mental health. The guests include leading doctors, clinicians, experts, advocates, and people with their own recovery experiences, offering their insight and sharing their wisdom. This discussion was held on November 28, 2018, the day before Thanksgiving. Kirsten: We want to make sure we provide our audience with some useful resources. Jena, both you and I have been through this battle before and fully realize as to how much more is there about eating disorders that runs so much deeper than body image and weight control behaviors: it is about identity and self-worth. For young moms, it is about the significance and who may also be struggling with postpartum depression or moms who are juggling younger children or moms at any stage who are struggling with who they are at that moment and what they want out of life. Just dealing with a newborn who eats, poops and sleeps all day can be challenging in itself and make one feel so alone. So Jena, to these women in particular, what would you suggest they can do and what encouragement can you give them? This is something you have personally experienced yourself, so your insight here would be highly valuable. Jena: Absolutely! I’m glad you mentioned as to how incredibly isolating this experience can be in the very beginning. For instance, upon the death of a closed one, the first six weeks are highly chaotic as everyone flocks over to be around you, lend their support and bring over food based upon this strange collective perception that by the sixth week you must be getting over it and you’re just left alone. Unfortunately, it is around that time when people usually crash. Pregnancy presents a very similar scenario. The celebrations begin before the baby has even arrived: there are baby showers and gifts and then people coming over to see the baby, when you probably do not want them to and from that moment onwards, the new mother is left on her own. She is given all this time to herself when all she really needs is someone to talk to or support her in one way or another. I feel this in itself can be the biggest tip for those of you who have a new mother in your lives and even when the newness and excitement begins to wain for you, she is still a mom with a new baby, trying to work it out and needing support the entire time, or just companionship. Continue to invite people over that you know and with whom you are comfortable. Once your baby is a little older, ask another mom-friend to go on stroller runs or find your meet-up-spot and just hang out with your kids. It’s like you said, the adjustment phase to a new identity is always the hardest part, but at the same time, it is equally hard not to let our identity be encapsulated in just being a mother. We are still not ourselves and not necessarily seeking the things that we always needed. I am talking more on the lines of intellectual stimulation, being with friends that are on the same page as you psychologically, spiritually and socially. Hence, it’s almost like maintaining an aspect of self-care, and it can look different for everyone. Ultimately, what’s important is that you prioritize yourself as a person, take some time out for yourself and then return to your kids rejuvenated and more present than before. Not chaining yourself entirely to your children, I think that’s a game changer. Weekly Hope Conversation with Jena Morrow, CADC on November 28, 2018. Please visit the Weekly Hope with Kirsten Haglund page for other presentations. Jena Margis, CADC is the Alumnae Coordinator at Timberline Knolls. She develops and maintains relationships with former TK residents after they return home. This is accomplished via phone, email, social media, and other avenues of communication. Jena is responsible for producing and facilitating various alumnae events, including monthly on-campus gatherings as well as an annual retreat in the Chicago area. She is constantly striving to grow and evolve the alumnae program, which she helped create, and manages an active Alumnae Board and network across the country and world. 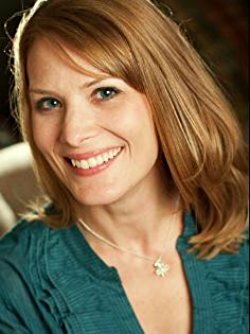 In 2010, Jena authored Hollow: An Unpolished Tale (Moody), which chronicles her battle with an eating disorder since her teenage years. In her second book, Hope for the Hollow (Lighthouse Publishing), she offers a practical and relevant devotional guide/journal to gently encourage and inspire women who struggle with themselves and their bodies. As a national eating disorders awareness advocate and professional speaker, Jena has traveled throughout the country sharing her recovery story and delivering a message of hope and freedom from disordered eating and distorted self-image. 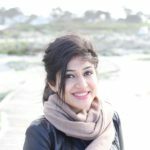 Sana Ahmed is a journalist and social media savvy content writer with extensive research, print, and on-air interview skills. She has previously worked as staff writer for a renowned rehabilitation institute, a content writer for a marketing agency, an editor for a business magazine and been an on-air news broadcaster. Sana graduated with a Bachelors in Economics and Management from the London School of Economics and began a career of research and writing right after. Her recent work has largely been focused upon mental health and addiction recovery.